Bhagavad Gita Art Gallery--Plate 23: "The mind is restless, turbulent, obstinate and very strong, O Krishna.". "The mind is restless, turbulent, obstinate and very strong, O Krishna." 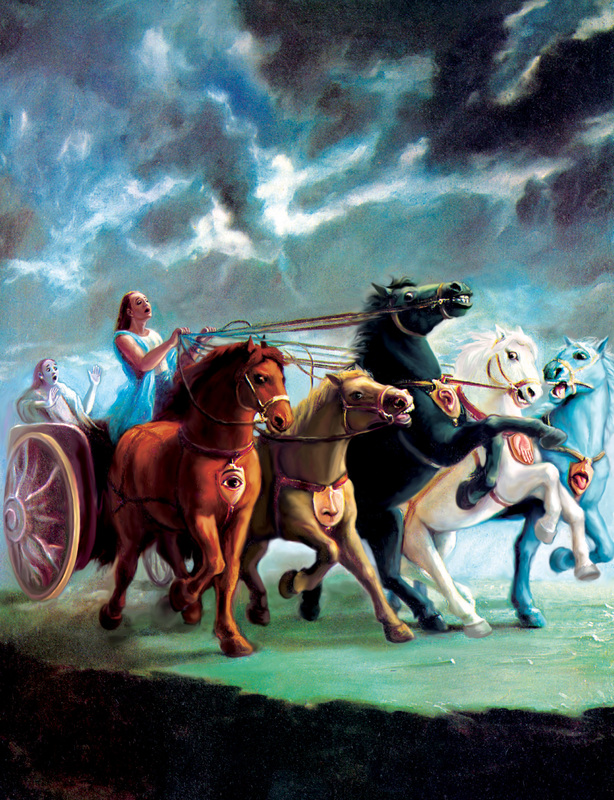 PREVIOUS Bhagavad-gita 6.34 The chariot of the body. The five horses represent the five senses (tongue, eyes, ears, nose and skin). The reins, the driving instrument, symbolize the mind, the driver is the intelligence, and the passenger is the spirit soul.